Melanie is a senior and a staff reporter for the The Scarlet Scroll. 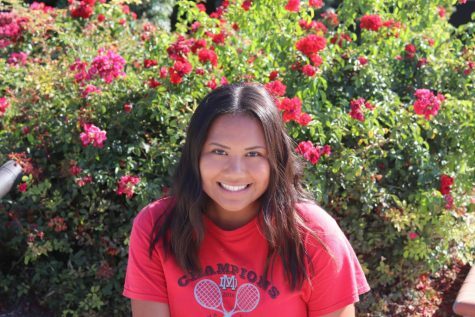 She is also a varsity tennis player for Mater Dei and the United States Tennis Association. You can find her watching Gilmore Girls or reading Maria Sharapova’s book Unstoppable: My Life So Far.